The Audi R8 V-10 Plus is menacingly fast. It shares all of the right parts with the Lamborghini Huracan, including its stellar V-10 engine, helping it to 200 MPH speeds and sing like a high-strung violin. 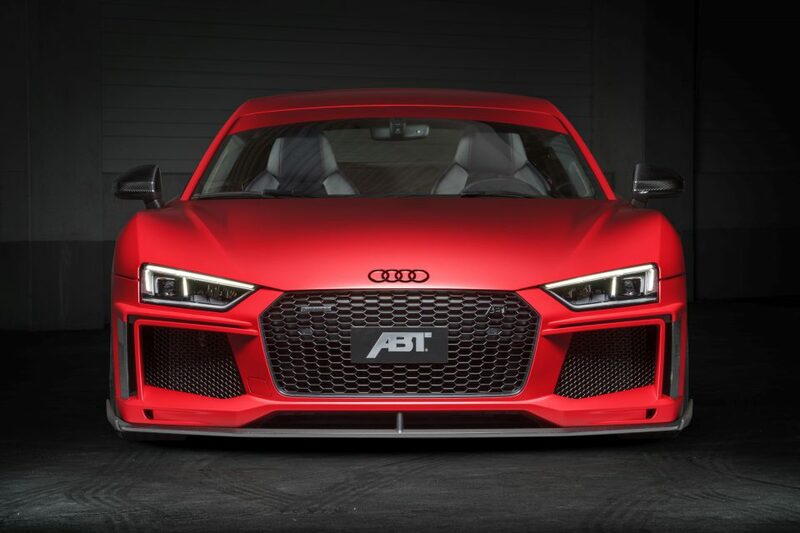 Some say that it looks a bit tame, maybe withdrawing itself from the outlandish supercar category—but ABT has fixed that. The Audi R8 now has the profile to match its powertrain, and with an even louder exhaust system and brash body accents, it's more of a handful than ever. Power upgrades include a reworked tailpipe set-up with dual carbon exhaust tips. 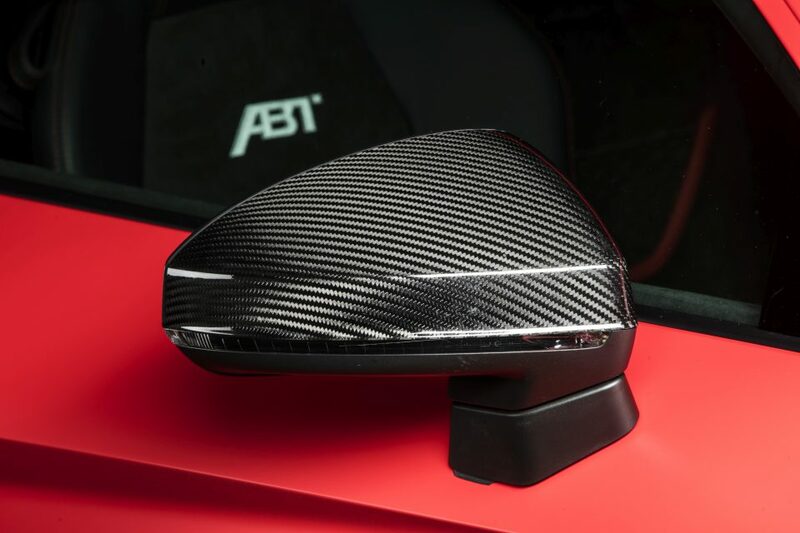 According to ABT, this increases power to 630 horsepower—a 20 HP increase over stock. It also strengthens the R8's biggest advantage, the linear and naturally aspirated engine. Thanks to its lack of turbos and superchargers, the Audi remains as one of the few supercars to produce big power figures atmospherically. 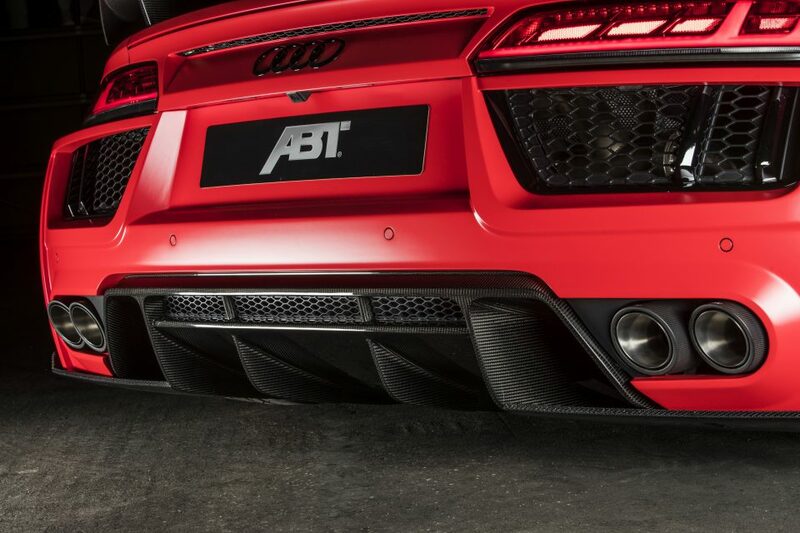 ABT also shaved 50 pounds from the R8, lowering it to a sub-3,400 pound curb weight. That may sound heavy, but the quattro all wheel drive system takes up a lot of space underneath. Additionally, the four wheel power delivery helps the car to reach a 0-60 MPH time under 3 seconds again and again. Updated acceleration times haven't been announced, but expect them to be a touch quicker than stock. The car's suspension has also been fitted with a pair of in-house built coilovers to deal with the extra power load. The R8 is a strong handler already, so this could potentially make it an even more impressive bit of kit. 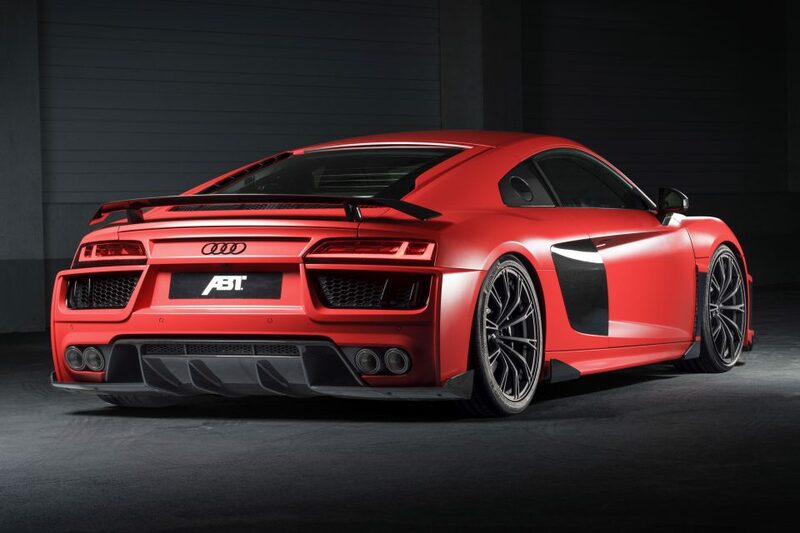 What do you think of the ABT R8? Check out the photos here and let us know in the comments or on The Drive's Facebook page. Quattro defined "Vorsprung durch Technik" during the '80s and '90s. Hard to argue with twin turbos and all-wheel-drive.